The concept of law lies at the heart of our social and political life, shaping the character of our community and underlying issues from racism and abortion to human rights and international war. Legal philosophy, or jurisprudence, explores the notion of law and its role in society, illuminating its meaning and its relation to the universal questions of justice, rights, and morality. 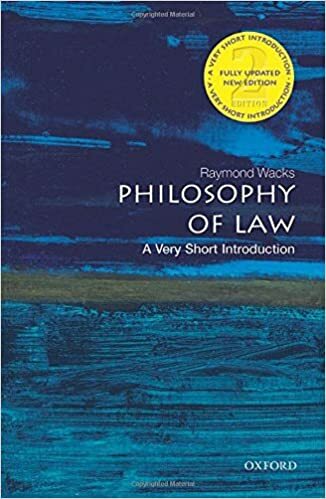 In this Very Short Introduction Raymond Wacks analyzes the nature and purpose of the legal system, and the practice by courts, lawyers, and judges. Wacks reveals the intriguing and challenging nature of legal philosophy with clarity and enthusiasm, providing an enlightening guide to the central questions of legal theory. In this revised edition Wacks makes a number of updates including new material on legal realism, changes to the approach to the analysis of law and legal theory, and makes updates to historical and anthropological jurisprudence.